With the abundance of apps flooding the App and Play Store, companies need a sound strategy to make their offering stand out and generate sufficient revenue. Product analytics is a crucial part of that effort, as it sharpens your product sense. It also adds more credibility to your decisions when you present them to your stakeholders. The trick is to know how to navigate analytics – in other words, how to measure the right metrics. 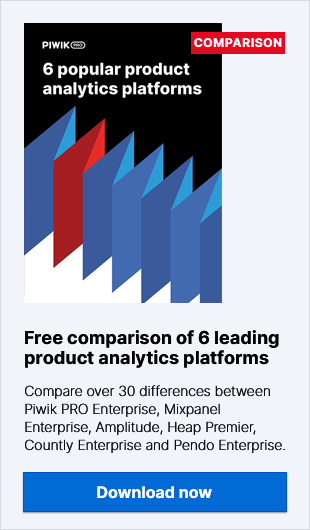 Unlike web analytics that tracks how people find your product through different channels, product analytics focuses on engaging and retaining users who already have and are using the app. Eventually, these users will convert revenue or other business goals. But that’s not all. You need to define KPIs to make sure that your product finds long-term users to make it competitive. 40-60% of people who register for a free product trial use it just once. What’s more, just three days after downloading apps, 80% of new users drop them for good. The numbers aren’t any better for startups. They report a 70-80% failure rate, according to research by Shikhar Ghosh, a senior lecturer at Harvard Business School. Both digital products and startups fail because they don’t focus on the right measurements, neglecting the metrics that decide about success. So, to make sure your app or other product brings you closer to your business objectives, you need to define specific KPIs. The good news is, there are multiple approaches. Here are a few ways to set the right KPIs for product analytics and help your business thrive. AARRR, or Pirate Metrics is a framework designed by Dave McClure for startup growth, but now widely used by a range of businesses and organizations. The core of this model is to determine your true business performance and emphasize the metrics that are important to your organization. Let’s start with acquisition. First of all, your product needs users. Depending on the business you operate in, objectives vary from company to company. For instance, if you offer a SaaS product, you want users to sign up for a free trial. But you might also have the goal of making your product known to new users and converting them into paying customers. The starting point is to understand how people first encounter your product. Having achieved this, you can optimize the right channels to bring more users to your app. Having someone request a trial is just the beginning, since they might not even use the product. Various organizations understand activation in different ways. For example, Airbnb understands it as completing a booking, while for Facebook it’s connecting with a friend. But for most companies it would be the “AHA” Moment, when users discover the value your app offers. They grasp how your product can help them. The “AHA” Moment, or critical event, is extremely important: it’s “an action that users take within your product that aligns closely with your core value proposition”. It’s most likely that after this moment, someone will continue using your product. That’s why recognizing the event is vital to your business’s retention strategy as it sets the direction for your product development. Once you have people activated, the natural next step for the success of your product would be to keep them using it – in other words, retention. This metric is probably the most vital sign you’ve got a quality app. Low retention means something in your product needs fixing. What’s more, you can improve it by reminding people of new relevant features, or by making sure an account manager stays in touch with customers and advises them on further usage. Referrals are one of the most powerful ways of fuelling an organization’s growth. As revealed by the Nielsen Global Trust, 83% of online respondents follow the recommendations of friends and family when shopping. Trusted individuals who emphasize the good qualities of your product are great advocates for your company. When people know and use your product regularly, they recognize its value and eventually pay for it. The formula for lifting your revenue is to get more value from your customers than it costs to obtain them. That’s why you should focus on the LTV:CAC ratio. Lifetime Value, also called Customer Lifetime Value, is the total worth of your customer to your organization over the whole period of using your product. Customer Acquisition Cost (CAC) is everything you spend on your initiatives to obtain a customer. The recommended LTV:CAC ratio is at least 3:1 to achieve stable growth. The user experience and satisfaction people take from your product should be given pride of place in your strategy. Fortunately, you can take advantage of the HEART framework designed by one of Google’s research teams. It’s applicable at numerous levels, from the whole app or product, to a single feature. Bear in mind that this is just one of numerous prioritization models. It should be treated as a set of guidelines that you can easily adjust, not a rigid formula to blindly follow. So, choose only those product analytics metrics and KPIs that align with the goals of your particular product or strategy. When it comes to product development teams, they should also put certain product analytics metrics in the spotlight. Follow the advice of Tim Platt, a product manager at American Express: “Don’t ship anything until you’ve identified the metrics that matter (…). Make metrics part of your definition of ready.” With this approach you can ensure that your product is complete and your team executes with the highest effectiveness. The starting point of your strategy could be Pirate Metrics. But maybe it’s not a perfect fit for your development team’s goals. So, besides the issues of acquisition and retention that we’ve already covered, it’s crucial to measure if your product meets users’ expectations. A great indicator would be engagement. This metric is vital for your business and helps you understand how people use your product, how often, what features are used the most and for how long. Also, identifying the profiles of people who use a certain feature could bring valuable information. *Depending on your product, the definition of action would vary. It could be uploading a photo, watching a video, making a transfer, etc. But that’s not all. You can add another dimension to understanding engagement, what’s called stickiness. It measures how often people use your product within a given time frame. For instance, for how many days someone was active in a certain time period, or did a particular event, could be a critical measure. You can also use this metric for measuring retention as it tells you how many times people come back to your app. You can track stickiness on a daily, weekly or monthly basis depending on the product’s usage interval, the frequency with which you expect people will use your app. What may greatly differentiate products and then impact your analysis of retention is the product’s usage interval. Certain products are designed for daily usage: social networking apps, media, games, productivity apps. Others, like those for ordering food delivery, transportation, booking, expense reporting, etc. are not used so often. So if you want accurate reports on retention you need to know the expected frequency of your product’s usage, and on that basis conduct your analysis. In this way you can steer clear of misinterpretation of your data. As you can see, when you juxtapose daily retention with weekly retention you get a much wider perspective on product usage that helps you measure your app’s performance and align your strategy. For many years, companies – not only SaaS – have been using the same sales funnel focused on SQLs and MQLs. But recently this model has transformed. Now, a range of businesses are shifting their strategies towards a product-led approach, which results in the emergence of Product Qualified Leads (PQLs). PQLs define your potential customers. These are people who have tried the product, through free trials and freemium models, and taken actions that strongly indicate they will become paying customers. By tracking users’ in-product behavior you can better assess when they are ready to finalize a purchase. You already know that keeping your customers happy pays off, as it costs less than acquiring new ones and boosts your revenue. This led the experts from Amplitude to design the Retention Lifecycle Framework to help organizations engage their customers more and make them stick with your brand. By learning what specific users do in your app you can better understand if they are receiving the value you promised from your product. That’s also a great opportunity for you to learn how they use your product. Such behavioral data provides valuable insights on whether they flow with in-product usage or get stuck along the way. Once you take a closer look at users at different retention stages, you can improve your strategy, engage inactive customers, and inspire all users to become more active. The idea behind the Retention Lifecycle Framework is to make new and resurrected users follow in the footsteps of the current ones. Your current users, those who regularly take advantage of your product, will be key players propelling your organization’s growth and lifting revenue. Measuring the health of your product is no easy feat. But by embracing product analytics and having a carefully crafted list of KPIs, you can get valuable insights that pave the way for product improvement and higher retention. We realize that this post shows only part of a bigger picture, but we hope you find it valuable and useful. You might already have formulated some questions, so don’t hesitate to reach out to us – we’ll be more than happy to help!